Russia’s Vladimir Putin and Egypt’s Abdul Fattah al-Sisi extend their presidencies through sham elections. Saudi Crown Prince Mohammed bin Salman, 32, uses arrests to help consolidate power — using heavy-handed tactics to help achieve modern reform. China scraps term limits to allow Xi Jinping to rule indefinitely. Turkey’s Recep Tayyip Erdoğan bolsters his popularity with a military offensive in Syria. 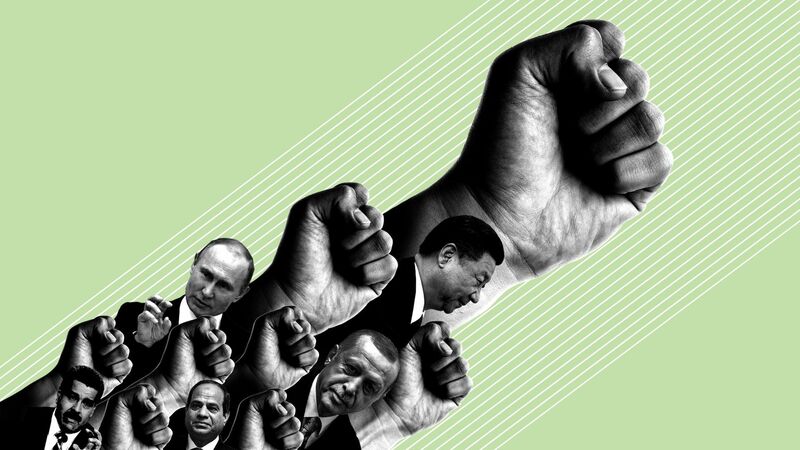 "Putin has established himself as one pole in the great global debate of the era, the debate between authoritarianism and democracy." "All over the world political regimes are adjusting, becoming either a little more authoritarian or a little more democratic." "[T]he momentum is clearly in the authoritarian direction." "[W]hen you pause to ask who is the global leader of the liberal democratic camp, you come up with no name at all." All strongmen aren’t created equal. But these international leaders all managed to systematically remove checks on power — raising the global stakes for efforts in the U.S. to maintain the rule of law. Launching tomorrow ... Dave Lawler's twice-weekly @AxiosWorld newsletter: Give us two evenings a week, and we'll give you the world. Sign up here. "The scale of China’s tariff targets was in line with Beijing’s pledge to mount a commensurate response, but it was released sooner than many observers had expected, adding to market fears that world’s two largest economies are spiraling towards a trade war that could shake the global economy." "In private negotiations ... about a possible presidential interview, Mueller described Trump as a subject of his investigation ... Prosecutors view someone as a subject when that person has engaged in conduct that is under investigation but there is not sufficient evidence to bring charges." "The special counsel also told Trump’s lawyers that he is preparing a report about the president’s actions while in office and potential obstruction of justice." "Mueller’s investigators have indicated to the president’s legal team that they are considering writing reports on their findings in stages — with the first report focused on the obstruction issue." On March 17, 1963, the Rev. 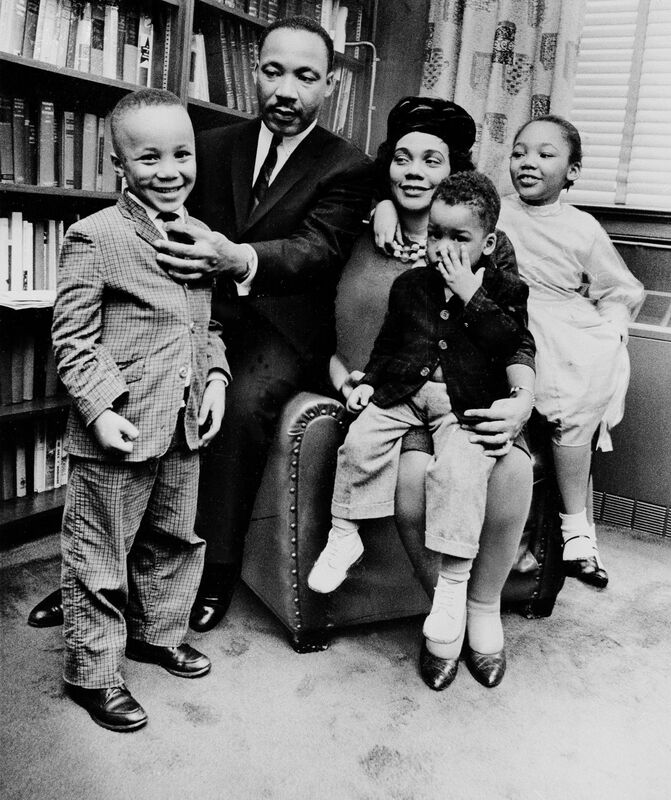 Dr. Martin Luther King Jr. and his wife, Coretta Scott King, sit with three of their four children in their Atlanta home: Martin Luther King III, 5; Dexter Scott, 2; and Yolanda Denise, 7. The 1968 bulletin ... "MEMPHIS, TENN., APRIL 4 (AP) Nobel Laureate Martin Luther King Jr., father of nonviolence in the American civil rights movement, was killed by an assassin's bullet Thursday night." "King, 39, was hit in the neck by a bullet as he stood on the balcony of a motel here. He died less than an hour later in St. Joseph's Hospital." "Gov. Buford Ellington immediately ordered 4,000 National Guard troops back into the city. A curfew, which was clamped on Memphis after a King-led march turned into a riot a week ago, was reimposed." 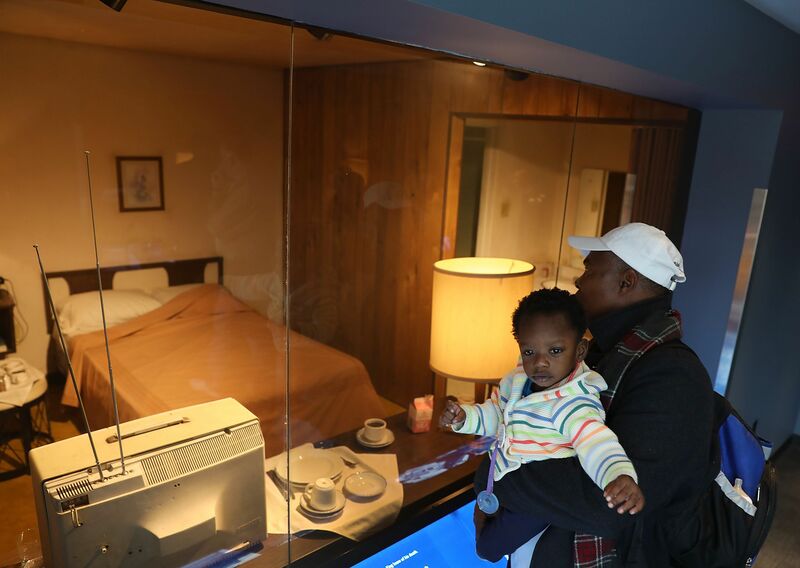 "The 1964 Nobel Peace Prize winner was standing on the balcony of his motel here, where he had come to lead protests in behalf of the city's 1,300 striking garbage workers, most of them Negroes, when he was shot." Why it matters: "King’s death changed the world and altered the lives of those who lived through it. Some would spend the rest of their lives fighting for racial equality and economic justice"
The backdrop: "King had won victories on desegregation and voting rights and had been planning his Poor People’s Campaign when he turned his attention to Memphis, the gritty city by the Mississippi River." Go deeper ... Historic photos and coverage from the N.Y. Times. “The one thing that would be dishonorable for us is to bring all this attention to the assassination of Dr. King and not have a resurrection of the efforts and the unfinished business dealing with systemic racism, systemic poverty." "Authenticity Matters: The IRA Has No Place on Facebook," by Alex Stamos, Chief Security Officer: "This morning we removed 70 Facebook and 65 Instagram accounts — as well as 138 Facebook Pages — that were controlled by the Russia-based Internet Research Agency (IRA)." Zuck Facebook post: "IRA has been using complex networks of fake accounts to deceive people. While we respect people and governments sharing political views on Facebook, we do not allow them to set up fake accounts to do this. When an organization does this repeatedly, we take down all of their pages, including ones that may not be fake themselves." 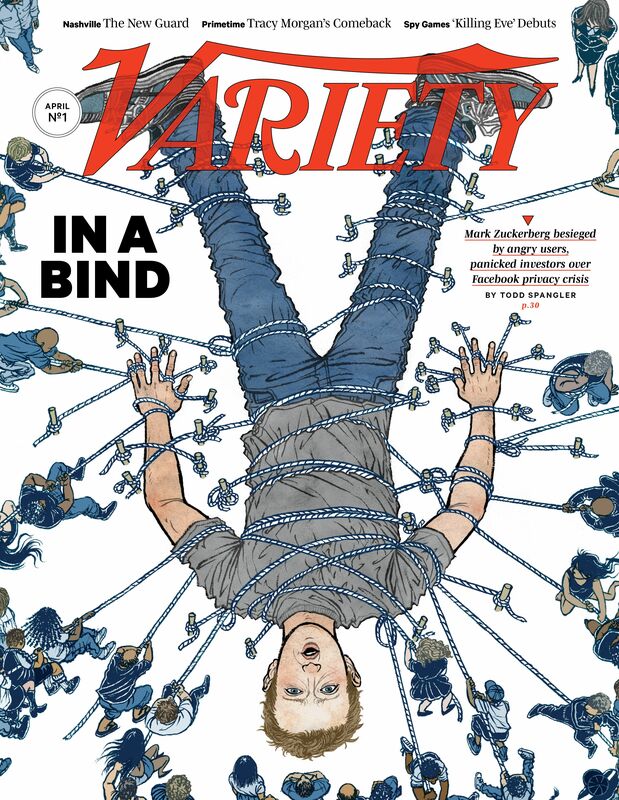 "The regulatory aftershocks could rattle companies beyond Facebook. In the big M&A deals in play in the media sector — AT&T’s bid for Time Warner, Comcast’s pending acquisition of Sky, Disney’s proposed takeover of 20th Century Fox — streaming media is front and center. And everyone wants to use big data to serve up highly targeted ads ... just as Facebook does." 7. An hour of terror: "Active shooter at YouTube HQ"
Google-owned "YouTube, where millions turn to watch news of the world unfold, became the subject of its own trending video feed ... after ... a woman ... critically wounded an employee and injured two others in a courtyard before killing herself." "A law-enforcement source [said] the shooting may have been fueled by a domestic dispute and that the suspect was targeting a boyfriend ... But ... her father, Ismail Aghdam, [said] his daughter was a vegan activist who was angry ... because [YouTube] stopped paying for her content." Jim VandeHei and me on "Trump smoke or Trump fire": "We have hit peak volatility in markets and politics because of Trump’s wild mood swings. The volatility is warranted, because Trump is more isolated and more self-certain than ever." Business editor Dan Primack on the "Rise of the stock-market bear": "Investing bears have spent the past several years getting stomped by the bull market, but expect their negative roars to begin getting louder. Particularly after next month, when the current economic expansion officially becomes the second-longest in American history." Chief tech correspondent Ina Fried on "Regulator response to Techlash": "Key states could pass laws that would likely become the norm nationwide, just because it is too hard to adjust for 50 different legal regimes." Make sure your friends, family and colleagues get the Q3 edition, and join our daily breakfast conversation: Sign up for Axios AM with one click here. "Long before most clarifying regulations have been issued, the new law has led to a burst of activity in tax circles as lawyers, accountants and businesses look for ways around some of the proposals meant to pinch them — and for ways to extend the reach of new tax breaks." Why it matters: "The legislation contains more uncertainties than usual for a tax overhaul because of the speed of its drafting, which left little opportunity for the public and congressional scrutiny that often identifies confusion in bills." "In a food-obsessed era, where Instagram dictates dining choices and children have their own celebrity television chefs, chicken fingers are being replaced by seared fish and fizzy mocktails on restaurant menus." "[F]ine-dining spots are turning out prix fixe menus specifically for children, like AJ Hunter’s five-course meal at Trummer’s on Main. The Clifton, Va., restaurant launched its $38 petit gourmand tasting menu ... to help parents feel more relaxed when eating their own $70-a-person prix fixe meal." "At Plume, a Michelin-starred Washington, D.C., restaurant, the kid’s menu includes beverage pairings — nonalcoholic, of course. After young diners choose their meal from a leather-bound menu, servers roll up with a drink cart of sparkling juices and suggest pairings." "Drinks such as the Cuvee No. 25, a sparking mix of sloe plums, Aronia berries, pears and currants, are served in a miniature Champagne glass for $12. Children eat with smaller, animal-themed silverware."